Large carnivores occur in a great diversity of ecological, conservation, socio-cultural and political situations in Europe. This can help to explain the different attitudes towards large carnivores which sometimes divide society. In Europe’s densely populated multi-functional landscapes, humans and large carnivores need to find a way to coexist. This coexistence gives rise to challenges, as well as opportunities. Recent data indicates that most large carnivore populations in Europe are stable or increasing. While this trend provides a reason to celebrate, many conflicts arise. 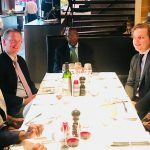 This evokes a number of questions, for instance about current management and damage compensation schemes, as well as their legal status in certain geographic ranges. 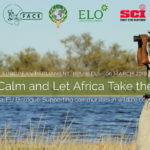 The European hunting community is a very active player in large carnivore conservation, directly contributing to their monitoring as well as to the management of their habitats and prey across our continent. 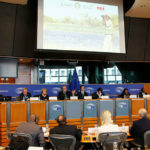 Hunters are one of the main stakeholders in Europe. Hunters are - and must be - part of the solution. With this in mind, FACE works at several levels and promotes large carnivore management and conservation based on scientific knowledge on populations, as well as taking into account the human dimension so as to effectively reduce conflicts. 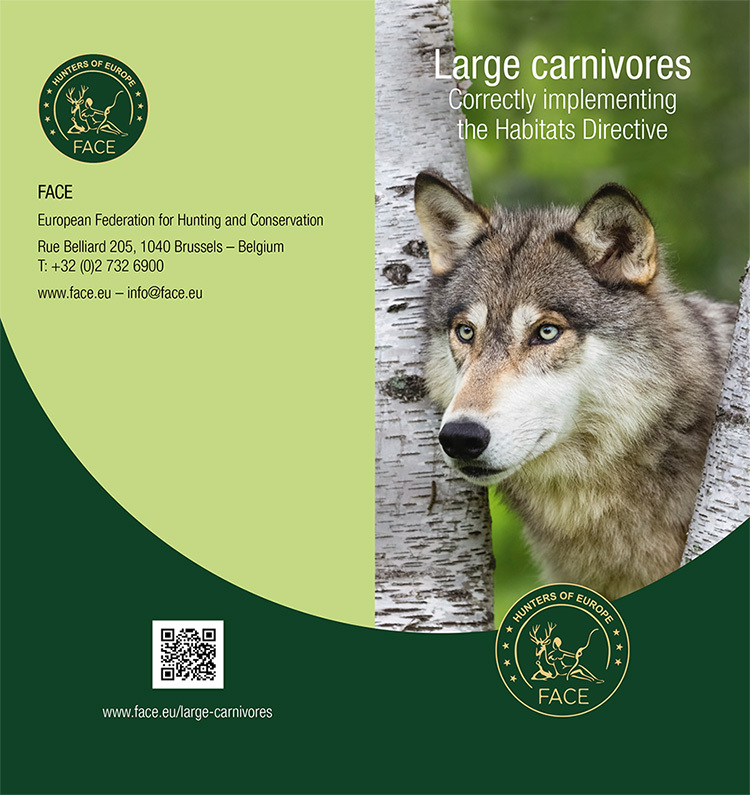 FACE is active in the EU Platform on Coexistence between People and Large Carnivores, which is a grouping of organisations representing different interest groups that agreed on a joint mission “to promote ways and means to minimise, and wherever possible find solutions to, conflicts between human interests and the presence of large carnivore species, by exchanging knowledge and by working together in an open-ended, constructive and mutually respectful way”. FACE Members encompass a great amount of knowledge and expertise for a better future for Europe’s large carnivores. 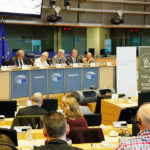 For any large carnivore policy development and implementation – whether within FACE, the EU or Council of Europe levels – FACE ensures that it has adequate in-house expertise and knowledge base on ecological, legal and socio-economic aspects. 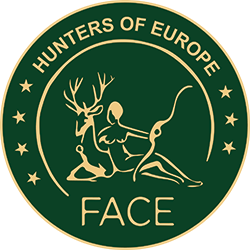 FACE set up its network of large carnivore experts from all around Europe, forming the FACE Large Carnivore Working group. 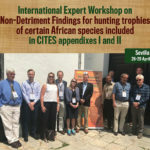 This Group is instrumental in maintaining and further developing FACE’s knowledge base and in coordinating the FACE position on large carnivore issues. Partnerships lie at the heart of all FACE work on large carnivores. 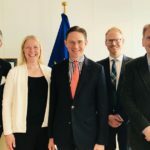 Through various fora (such as the EU Action on large carnivores and the Rural Coalition) and bilateral exchange, FACE collaborates extensively with the scientific expert community (e.g. 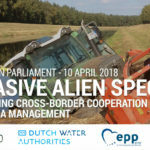 the Large Carnivore Initiative for Europe, LCIE) and various stakeholders such as the farmers and landowners (e.g. 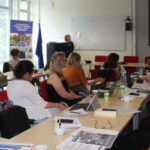 Copa-Cogeca and ELO) and environmental NGOs (e.g. WWF).